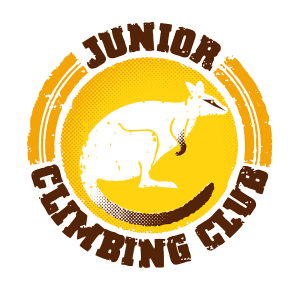 The Climbing Centre is changing the Junior Climbing Club program. Please stay turned for further notice. The Climbing Centre’s Junior Climbing Club is centered on having fun and learning in a relaxed & casual atmosphere. There are endless benefits that come from climbing, including – building confidence, concentration, muscle co-ordination, flexibility, problem-solving skills and improving fitness and strength. Climbing is also a low-impact sport which means very low injuries. Our qualified indoor and outdoor climbing coach is involved in all areas of climbing and sets activities and goals for the classes weekly. We also run outdoor programs which happen during the year. Classes are run during the normal public school terms. Enrolment is for a minimum of 10 weeks. Enrollee’s are required to be a casual member before joining. This includes harness and shoes (if required). Children must be a member (have a casual membership card) before joining. If your child is new to climbing at The Climbing Centre we suggest to come in and have a climb. They can get their membership card and become familiar with how it works. To book/pay you can either pre pay or pay on the day classes start. Must be paid in full, Part payments not accepted. Please note payments are non refundable and non redeemable. Terms and Conditions and Prices are subject to change. This class is tailored to the younger kids and is all about having fun. While having fun though, the kids will learn some essential basic climbing skills, which will stay with them during their climbing journey. Kids will need mum or dad to stay and belay (hold the rope), so they get maximum climbing time and so they will be involved as their kids develop with their climbing. There is also opportunities to be involved with social indoor climbing competitions. This class is very social and a great way to meet new friends who are interested in climbing. It is a mix of beginners and more experienced climbers. Beginners are taught the very basics of climbing techniques, which is the basis to becoming a better climber. Over time, climbers develop these techniques and then move into endurance, strength and mental training. They will be shown correct equipment use, including belay and rope work techniques, enabling them to climb safely. There are also opportunities to be involved with competitions and exploring outdoor climbing. These are available to purchase from us for $30. We look forward to seeing you down here for a climb soon!